I decided to write about reflection because I recently began mentoring student teachers, which is causing me to reminisce about my own student teaching. One of the many things that I remember about student teaching is the fact that I reflected so much and how my mentor at the time explained how important that was. And it was. It helped me become a better, more cognizant, and thoughtful teacher. How many of us actually take the time at the end of each day and reflect on what happened? Did students learn the material? Which students struggled and why? What can I do better next time? All of these questions are vital in order to increase teacher and student productivity and successfulness. These questions could be answered on the drive home, as you unwind after students left the for the day, or before you call it a night. What I’m saying is you don’t have to spend an hour writing your thoughts. Just 10-15 minutes a day will suffice in order to increase success. Throughout the day, you are making decisions. Most decisions are quick and on the spot, but some require you to take a step back and think about it. 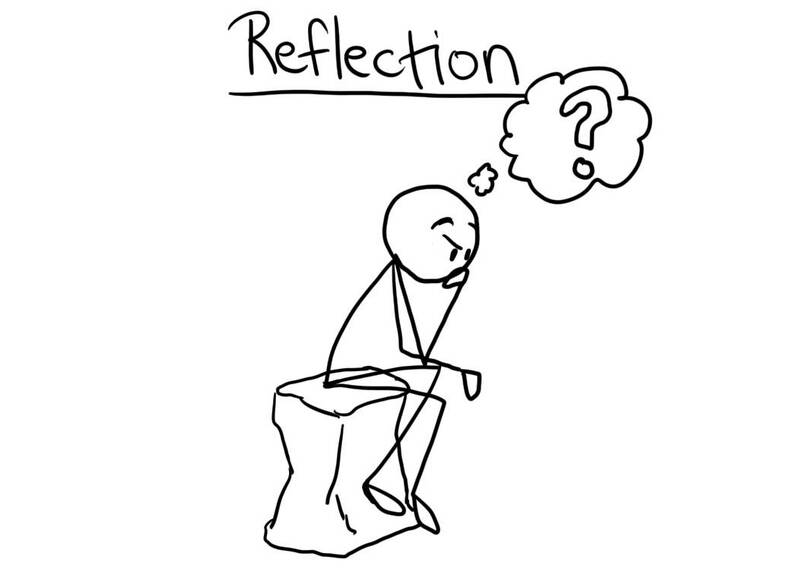 Lana M. Danielson writes about Fostering Reflection and says, “Because of their ability to reflect, great teachers know not only what to do, but also why.” Great teachers have a purpose when teaching and their activities, procedures, and assignments have a reason. Take advantage of the most valuable resources around you: your peer teachers! Discussing lessons with them will help you talk about what went well and what worked. Talking through your lessons will allow you to swap ideas with one another. I know this may seem like more work, however it can be really helpful to write down your positives and negatives so you can continue to grow your teaching practice.